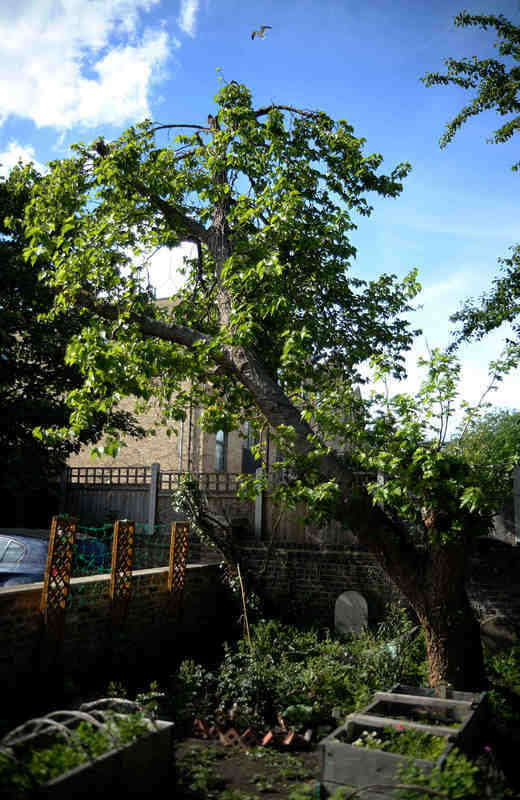 The Mulberry Tree in the Quaker Meeting House garden is closely associated with Tottenham cake: a square sponge covered in pink icing - the pink colour being provided by the mulberries. “a peculiar local invention was Tottenham Cake. It consisted of a scone like base covered with lurid pink icing. It was baked in long flat trays, then cut into cubes, which retailed for a penny each. Luckily the cake was not always cut evenly or the icing uniformly spread, and the smaller defective pieces were sold off at half price. Tottenham was a rural village when the Quakers first moved to the area and the practical nature of the cake allowing for pieces to be cut easily and shared, reflects Quaker engagement with the community. Tottenham cake is still available in local bakeries though the icing is from sources other than the mulberry. The remaining mulberry tree, which had been overgrown in recent years, has now been trimmed as part of the renovation of the garden. A recent addition to Bruce Castle Park. Photo by Noel Treacy. 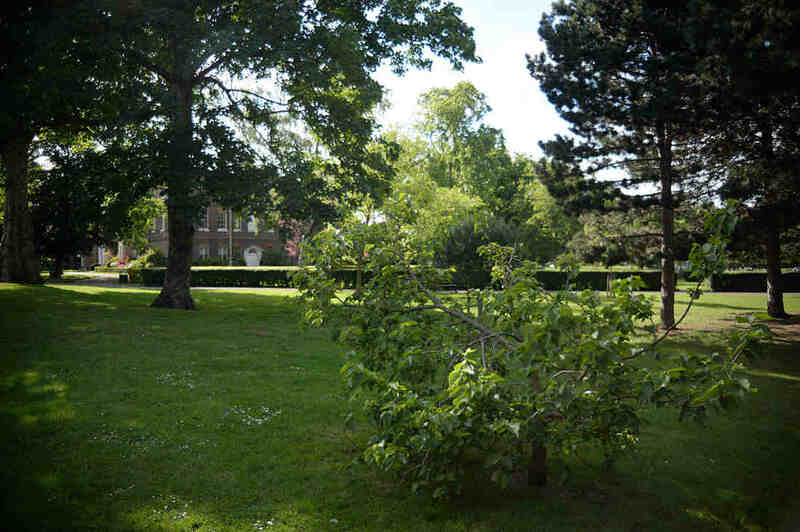 It is recorded that, at Bruce Castle, at Tottenham, an immense branch was torn off by the wind from an old mulberry tree about 40 years ago. The branch was thrust into the ground, and flourished. It is now a handsome tree. That part of the trunk of the old tree which lost the branch is covered with lead. It is open for everyone and we especially welcome asylum seekers, refugees and other migrants to join in, get to know the neighbourhood and find a sense of belonging. You will be able to take veg, herbs and fruit home with you and we share recipes and ideas for cooking. Lunch, tea, coffee, tools and gloves provided, plus transport costs for asylum seekers and others on low incomes. Kids welcome (if supervised by an adult). There is an indoor space and toilets, but unfortunately these do not have disabled access. Mulberry Tree Community Garden, 594 Tottenham High Road, London, N17 9TA.